So.. 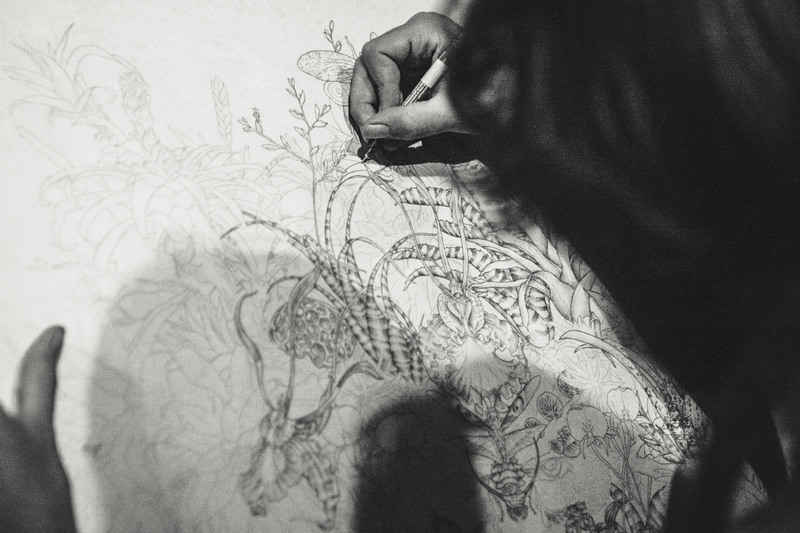 I have not updated my blog in an embarrassingly long amount of time.. 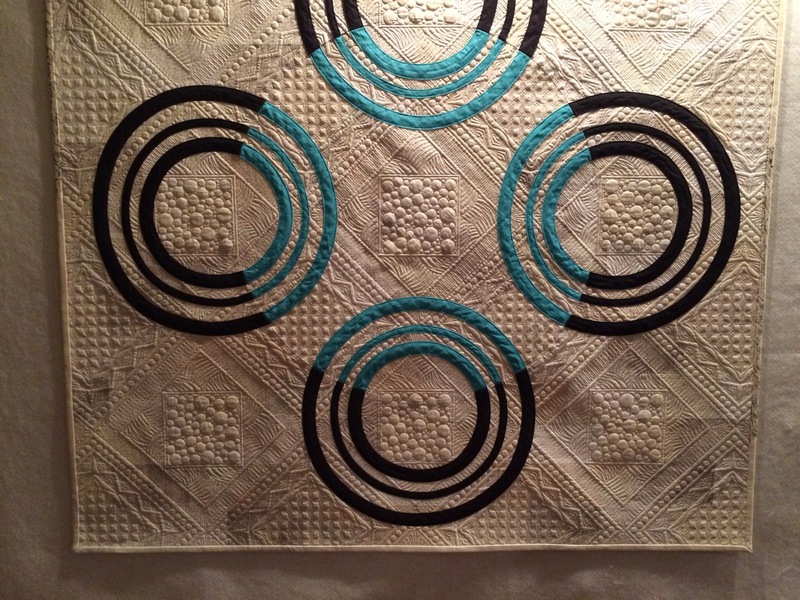 I started this quilt back in 2014, and it was actually lucky enough to go to Quiltcon 2015. However.. 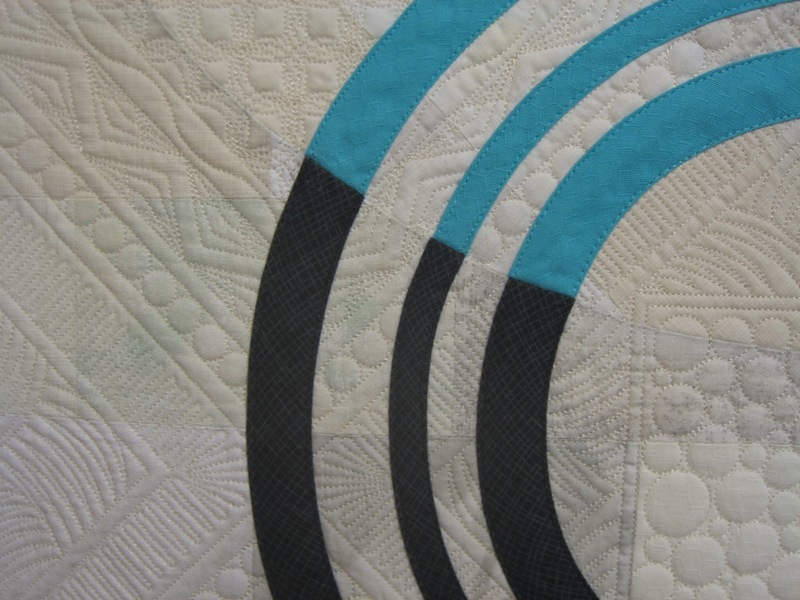 I almost quit quilting because of this quilt.. 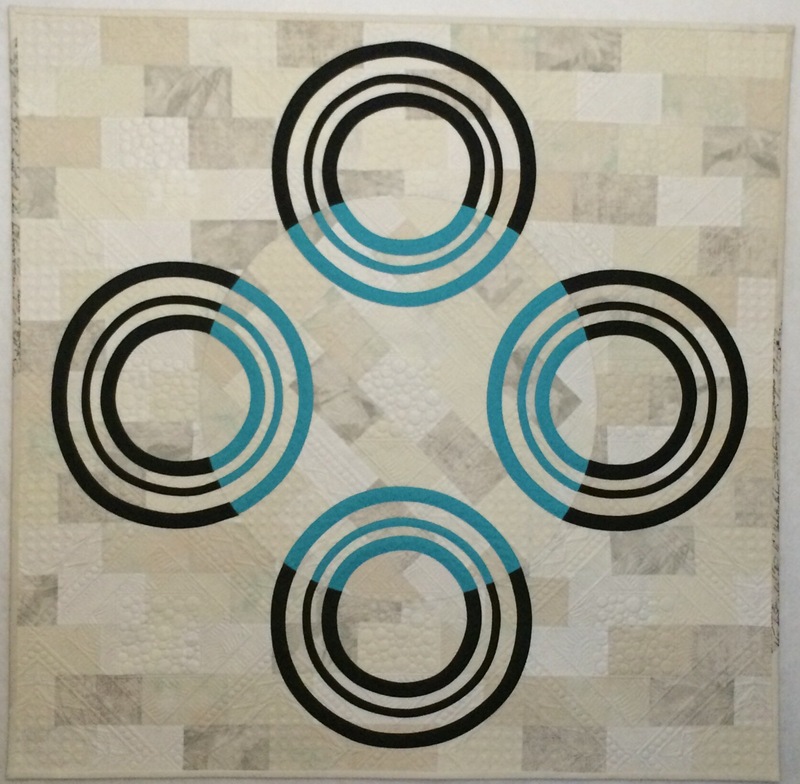 This quilt was inspired by an optical illusion featured on the show “Brain Games” by National Geographic channel. 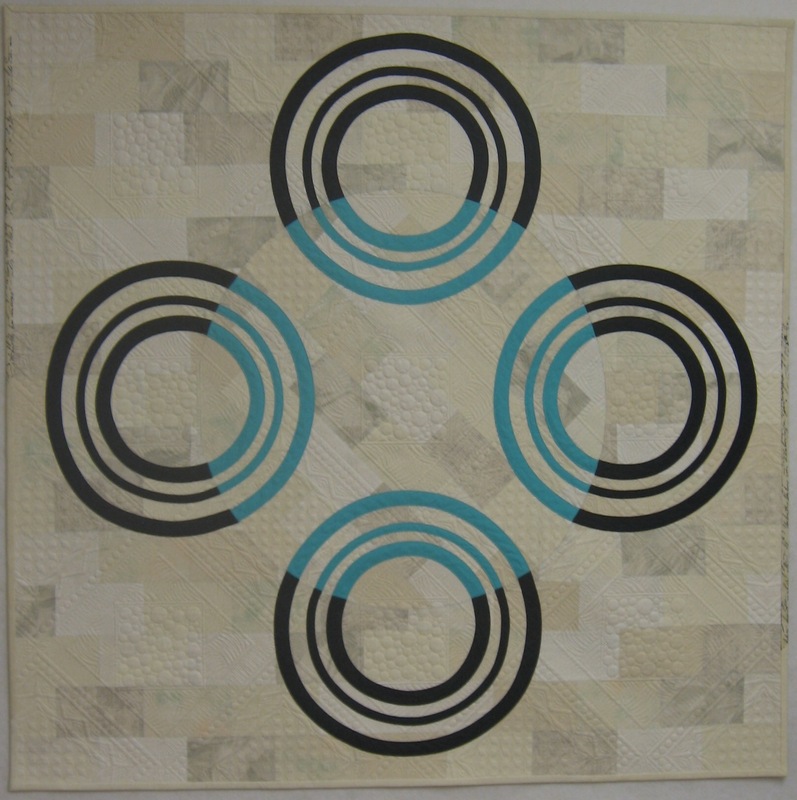 This image combined with the Panasonic bias tape quilting challenge told me that I needed to make this quilt. 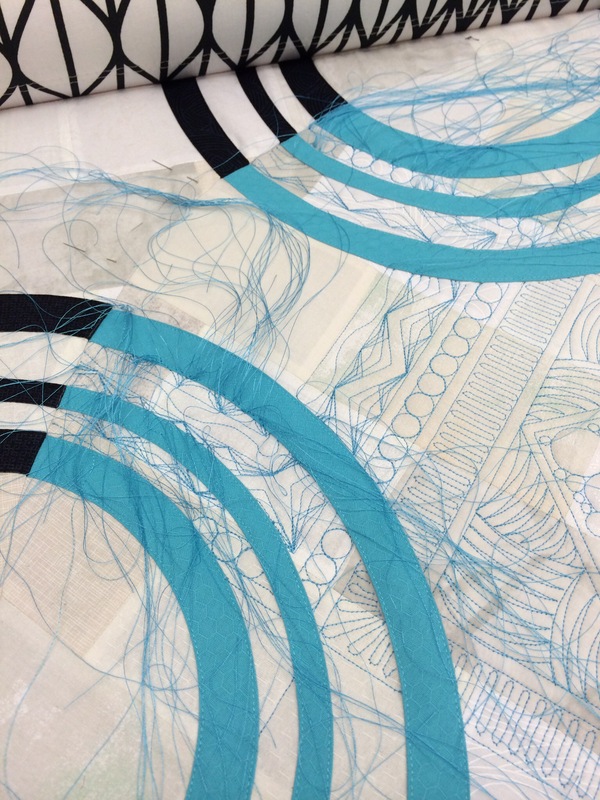 The first challenge was to create an interesting background and then start attaching the bias tape. 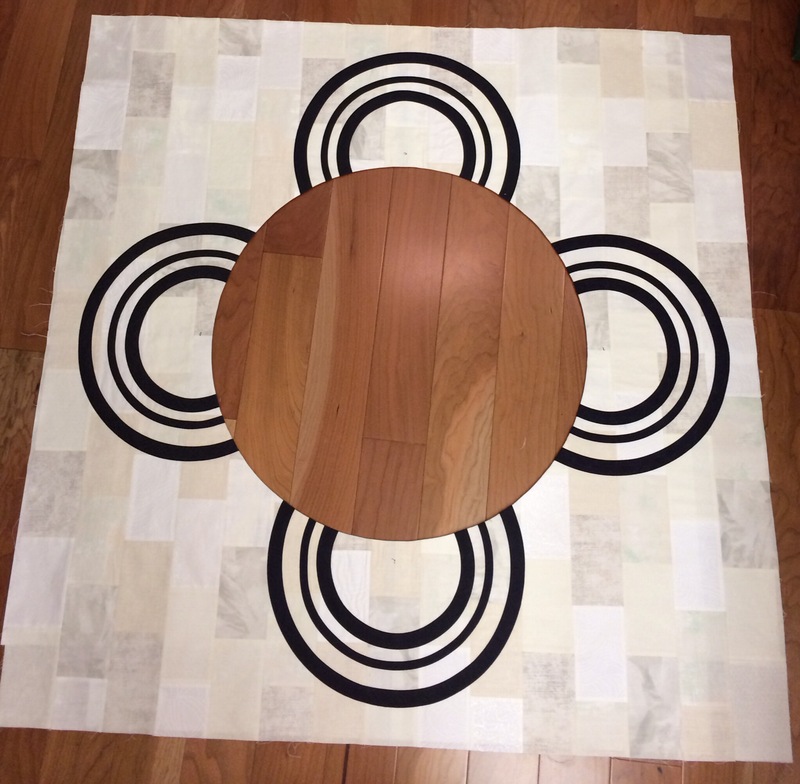 I actually pieced the large center circle, so that I could guarantee that the joins on the bias tape lines would be fluid. 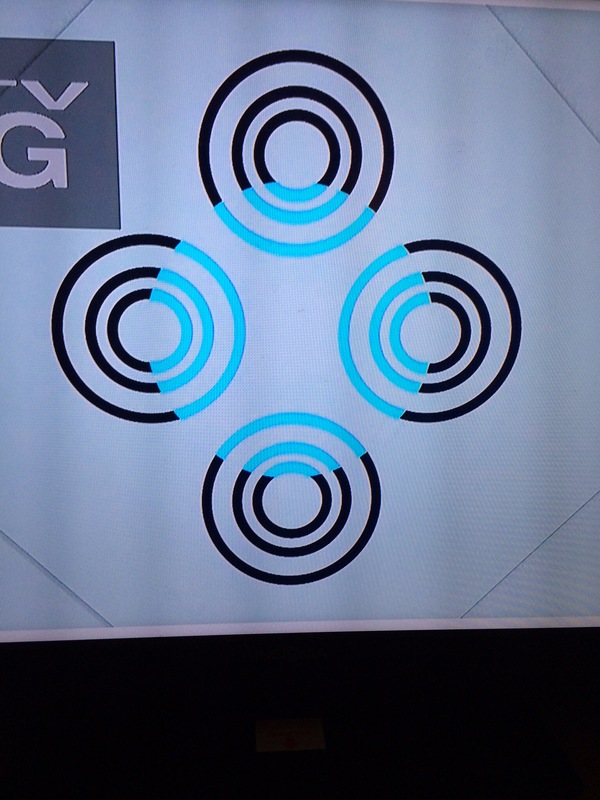 This also offered me the opportunity to angle the fabrics in the center circle at a 45 degree angle to the rest of the background. 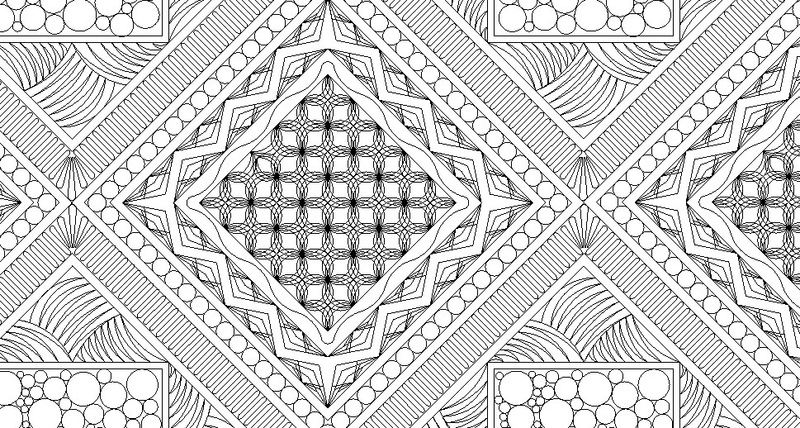 I had originally intended to quilt text in the background of this quilt to give it some more organic lines, but I was having a hard time finding the perfect passage, so I created a plan “B” quilting design that quickly became plan “A”.. I ended up having to test how it would stitch out, once I was happy with my sample I decided to push forward with the quilting. 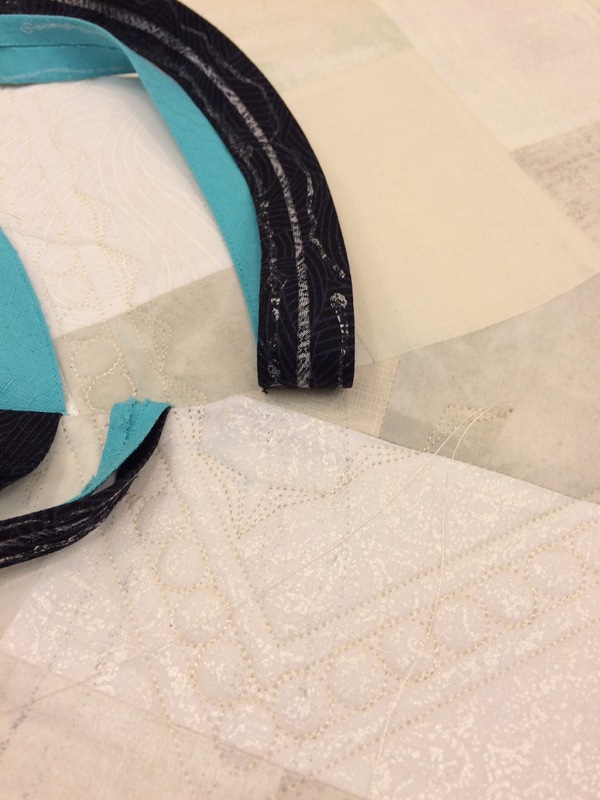 There was a main difference though between my sample and the actual quilt, on the actual quilt I would have to avoid quilting on top of all of those bias tape lines. Also I changed up my batting to wool, since this was destined to be a show quilt. These two choices caused many problems. Many stops and starts.. Lots of thread tails to tie and bury.. Plus the wool was causing things to slip and be off by a bit.. 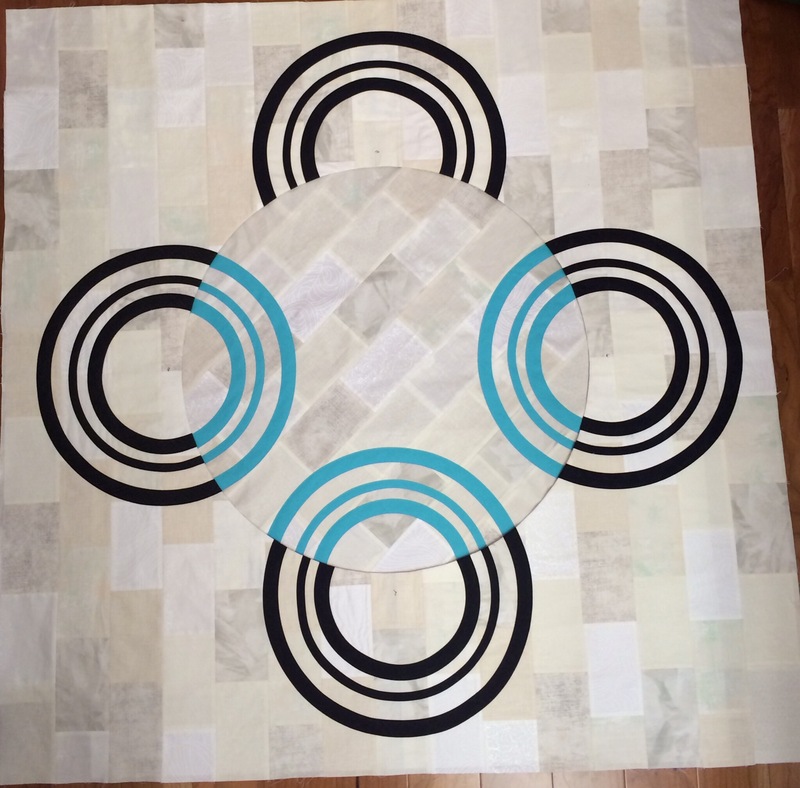 Which tripled with the fact that I was planning on changing out the thread color from blue in the middle to white on the outside of the main circle meant that you could see everything.. At this point I actually opted to remove the quilt from my frame and put it aside. 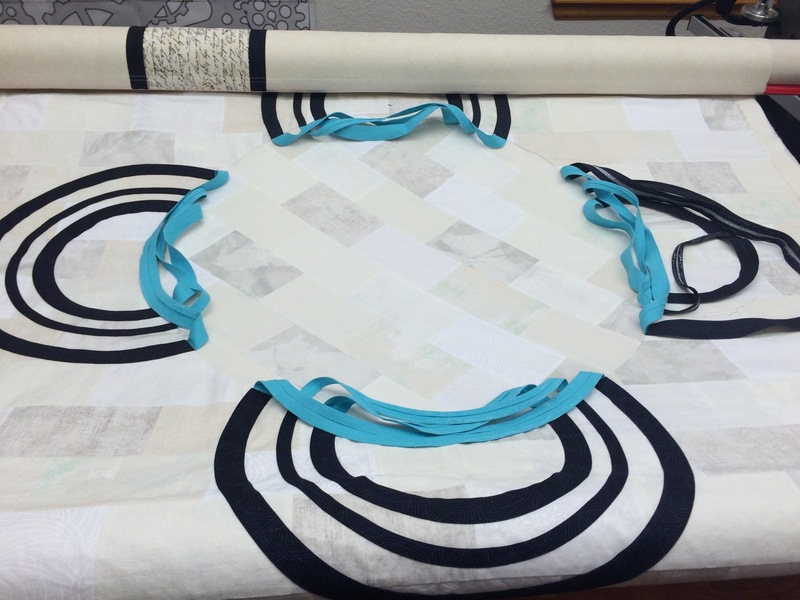 I had taken it to a guild meeting, and a friend of mine asked why I couldn’t just pull up the bias tape, quilt it, then put it back. 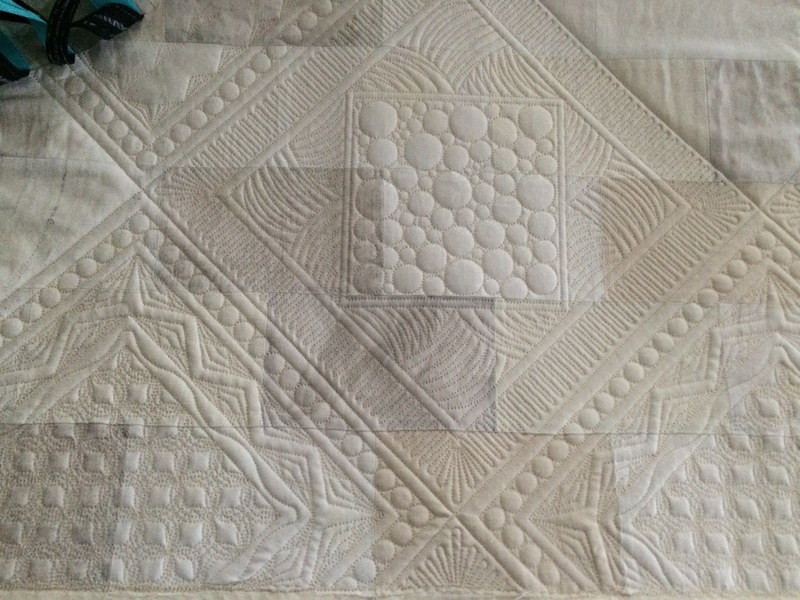 Since I didn’t see finishing the quilt in the state it was in I decided to try this crazy option, however first I had to “unquilted” what I had already done.. This time I decided to go with cotton batting and a pearl colored thread throughout. 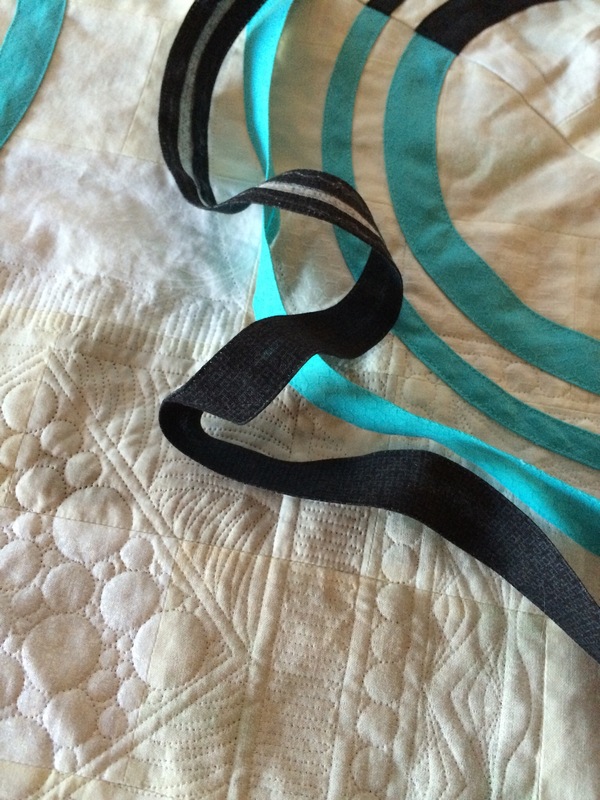 However since the bias tape was still attached in the seam for the big circle, it had to come along for a ride while the rest of the quilt was quilted.. 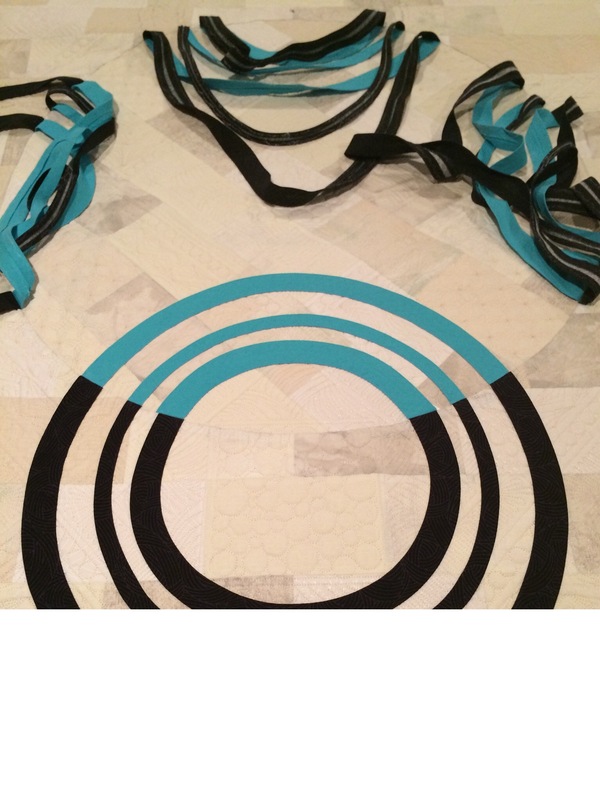 Avoiding the bias tape was a bit of a challenge, but at least the quilting was looking good..
After quilting the entire quilt top I then had to try and make my bias tape sit in perfect circles again. 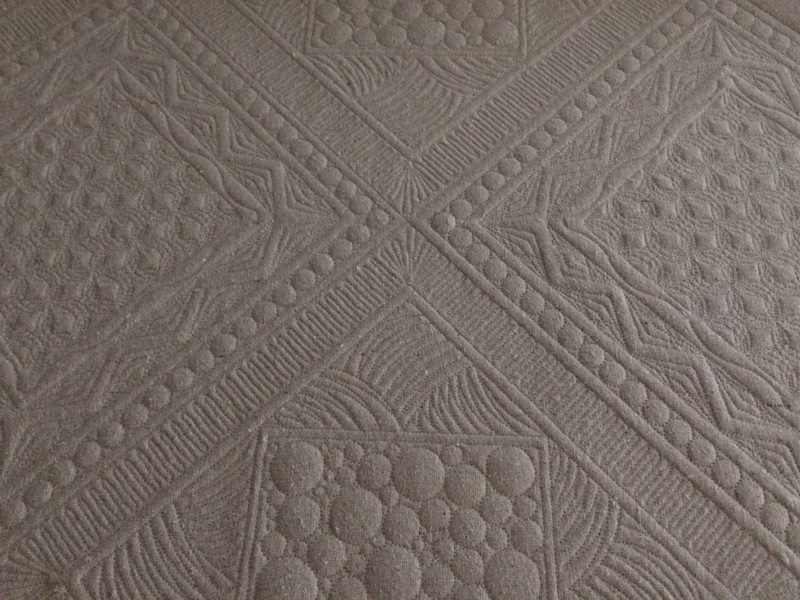 However, with the density of quilting and the fact that the glue I had originally used left a bit of a mark I decided to opt to cover my prior glue lines, which meant that the circles looked a bit squished (at least to my eye..). Deciding to just move forward, all of the bias tape got top stitched and the binding attached (I used some texty fabric for bits of the binding as a ghost of how I should have quilted it.. 😉). I entered it just under the wire for the Quiltcon 2015 deadline, but was just kind of burnt out and couldn’t really even look at this quilt. It wasn’t until I had ventured down to quilting studio late one night was I able to see this quilt in a new light.. 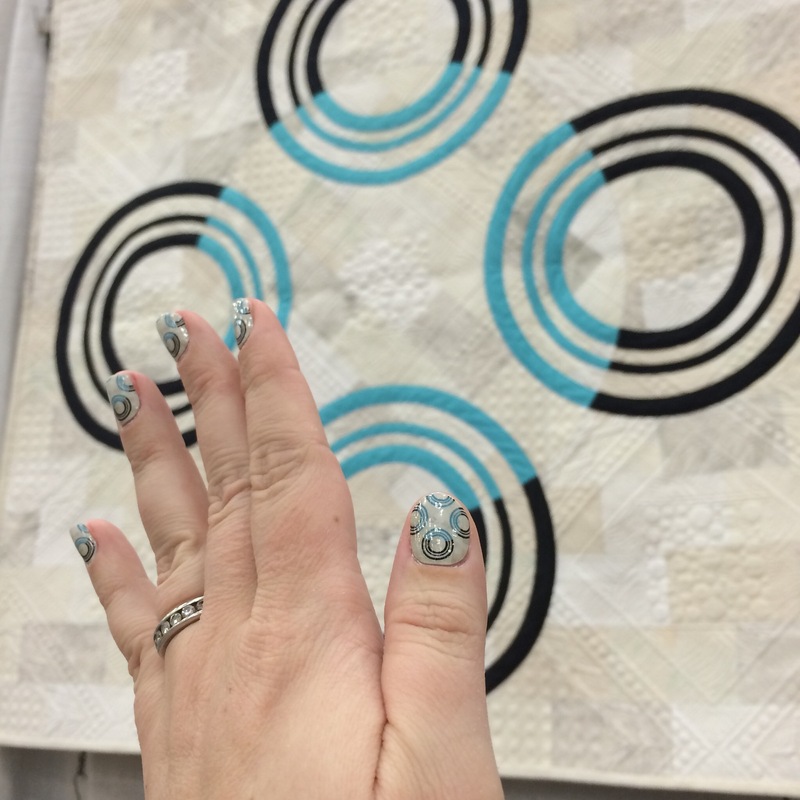 Eventually I was able to see my quilt hanging at Quiltcon 2015, and even had matching nails to boot..